The 12×12 Heritage Collection is printed on parchment colored cardstock and is perfect for documenting your genealogy and family tree information in your own handwriting. The back of this paper is a black chevron design. 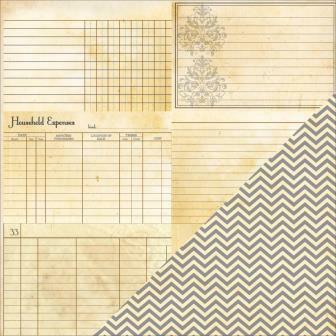 Part of the Bazzill Basics Heritage range, this heavy-weight paper is sold as a single sheet. It is acid free and lignin free, and meaures true 12"x12"